The Edakkal caves in the Western Ghats mountain range is an example of Neolithic civilization in India and probably only solid proof of human existence in South India. 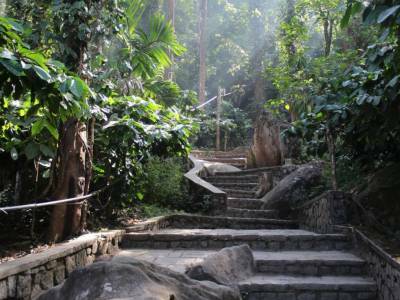 The Edakkal caves are located high in the mountains of Ambukutty Mala located in the District Wayanad of Kerala State. Height of the hill with caves is about 1200 meters above the sea level and is situated on the ancient trade route that connects the Mysore Mountains with the Malabar coastal region. 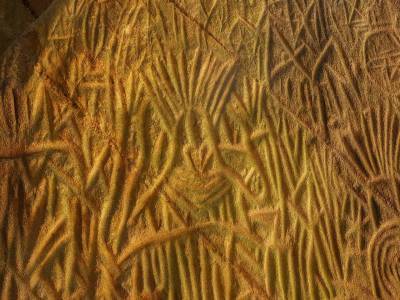 The Edakkal caves are very important piece of historical evidences of life in India in the prehistoric times. The archaeologist has denoted the time span of these caves origination to be in the period around 5000 BCE. Yes the caves have origination time because these are actually not naturally existing caves but astutely craved clefts made with elongated roof like stone extensions cut from the mountain walls. 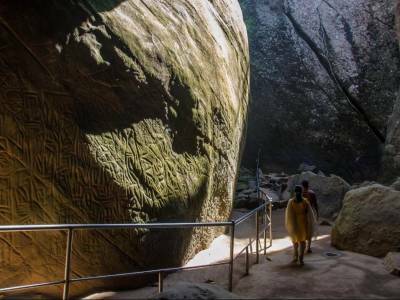 The petro glyphs or the wall paintings and inscriptions give clear picture of the Stone Age civilization in India after researched deciphering of the same. The different type of caves found in Edakkal caves state beyond doubt that the caves were inhabited by Neolithic men at different times between 5000 BCE to 3000 BCE. Some particular inscriptions like a man with a cup suggest the Indus Valley connection to these caves as cups came into being during Harappa civilization. Though it is a matter of argument whether Dravidian civilisation came before Indus valley or vice versa still the connection between the two is a certain fact. This historical place is a tourist paradise as it bares the early man's life in India amidst the beauty of the verdant hills. 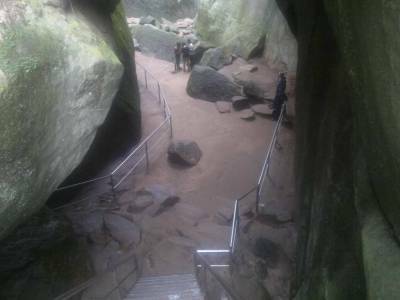 To visit Edakkal caves roadways is the best option and nowadays lodging and fooding are also made available to increase tourism in this region. 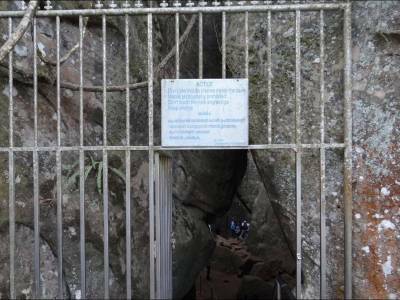 Get quick answers from travelers who visit to Edakkal Caves.